Binance Coin (BNB) has nearly doubled recently, rising to $8 from circa $4 last month on current trading volumes of $137 million. The coin has once more gained a market cap above $1 billion, entering top ten for the first time after doubling from circa half a billion. 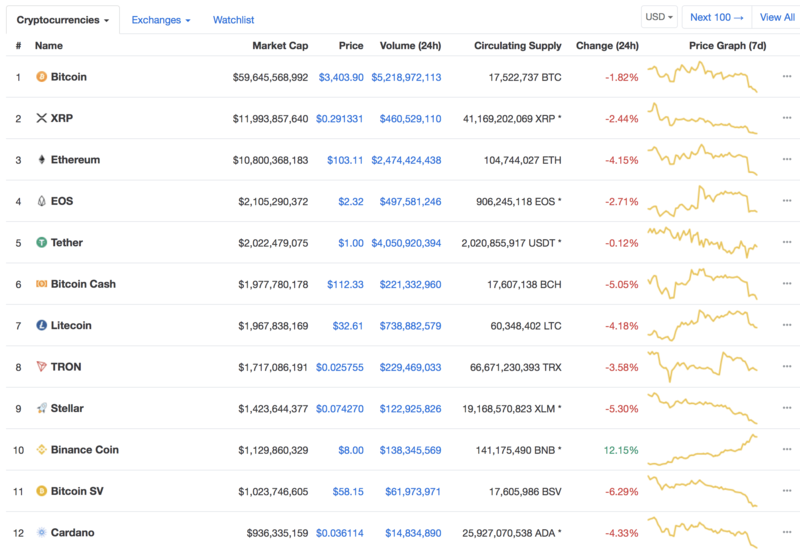 It is the only major coin to be in green today, bucking the trend while all else is red in an apparent continuation of the bear market. It appears they have burned 11 million BNB since 2017, bringing total supply down to 189 million from 200 million. Some 1,623,818 BNB were burned this January 16th. That’s worth $13 million, as much as they raised in an ICO in 2017 to fund the development of Binance which has risen to become one of the top global crypto exchange. Meaning ICO investors have seen a 6,000% increase since the ICO, with this rising to be a major success story of the token model. They’ve apparently made some $65 million in profit during the last quarter, with 20% of it, $13 million, burned about three weeks ago. Price then gradually begun to rise since, making this the only major crypto token to turn bullish recently. After securing funding through an Initial Coin Offering (ICO) for a now very successful business, Changpeng Zhao, Binance’s CEO, is seemingly trying to open the opportunity to others through the Binance Launchpad. That’s a centralized platform where the BitTorrent token had its initial offering, selling out within minutes in raising about $7 million. Zhao appears to be supporting Fetch, stating: “The Fetch network is in a position to help overcome barriers presented by centralised systems for bringing data to life, leveraging an AI and decentralised solution. These tokens are usually on offer for eth or bitcoin and for Binance’s own token, BNB, which gets some preferential treatment on the exchange by having its own trading tab and numerous trading pairs. Some of the price rise, therefore, might be due to demand for BNB to buy Fetch, which hopes to raise about $6 million worth of crypto.